An advisory committee has been working for a year to recommend updates for Riverfront Park. After a year of seeking feedback and thinking about how to improve Riverfront Park, the advisory committee has distilled those ideas and discussions into a final report. Inlander Publisher Ted McGregor is chairman of the committee and wrote this week about the year of discussions and planning that led up to this report. The committee, appointed by the mayor, includes representatives from the parks department, the city, the local business community and neighborhood organizations. 1. Create a North-South Promenade through the park. 2. Recover and light the pavilion as a multi-use facility. 3. Build a new structure for the Looff Carrousel. 4. Update park infrastructure, such as signage, lighting, sound, seating and pathways. 5. Relocate the skating rink to the Gondola Meadow in the southwest corner of the park. 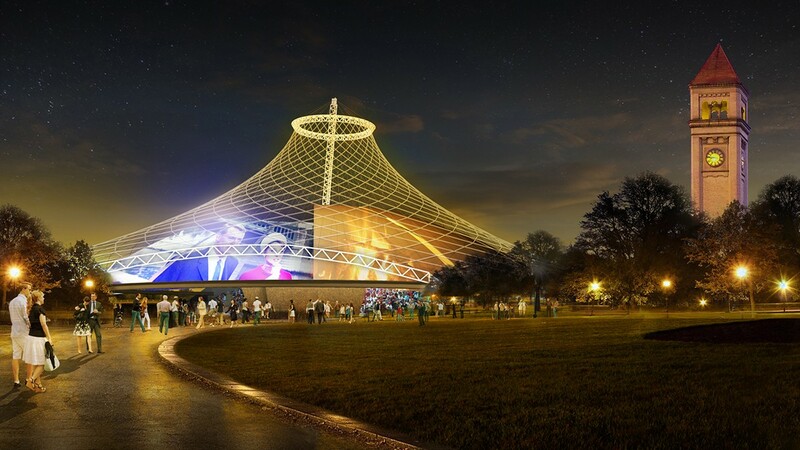 The committee recommends moving the Ice Palace from the pavilion to the Gondola Meadow in the southwest corner of the park. The committee also recommends getting rid of two current park features: the amusement park rides (which doesn’t include the train) and the IMAX theater. The report also includes a section on generating revenue, with ideas for making the park support itself. Recommendations start with traditional funding from the parks budget and parking revenue (the most reliable source of revenue right now), but also include a range of ideas for permits, concessions, sponsorships and naming rights. The committee makes it clear they believe the future of the park relies on bringing more events, and the report offers a long list of possibilities: a Saturday farmers market, local history guided tours, chef’s dinners, summer concert series, Terrain, beer festivals. The committee recommends re-covering the pavilion in some way, possibly with this moveable dome structure. The concept of re-covering the pavilion led to one major aesthetic question: What should that look like? The report mentions both a translucent covering similar to the roof covering at the Denver airport and the moveable inner dome proposed by one architectural consultant, with no specific favorite at this point. Read the full report here or below, and see more images here. 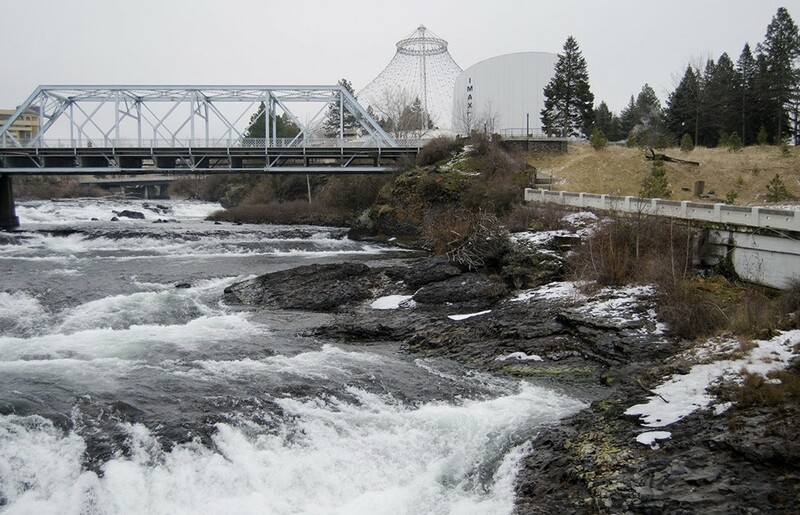 A second presentation and public hearing is scheduled for April 24 at 6 pm at Spokane City Hall.